Bag Lady Adventures. Rotisserie by Retail Royalty. with his upscale dress shop on Livernois and Seven Mile in Detroit in the 50s and 60s. My mom, Saralee, was in charge of making the bows for gift wrapping and keeping Daddy calm -- a career in itself. Working after school for Dad at 50 cents an hour did not quite prepare me for my adventures selling my vintage evening bag collection as The Accidental Bag Lady on Etsy. (Click here to see.) My listings suffer from a lack of expertise. I know how a particular bag makes me feel and even if the frame is Art Deco or Art Nouveau but I can't quite be sure if the beading is French or Italian or Belgian (unless it has a label - as some amazingly do). 37 Paris Metro ticket inside one bag I still use, a sweet love note from someone else's husband and a $20 gold coin from 1865 in another. Alas Etsy won't let me list anything considered an endangered species, no matter how un-endangered it was at the time it was made or when I bought it. 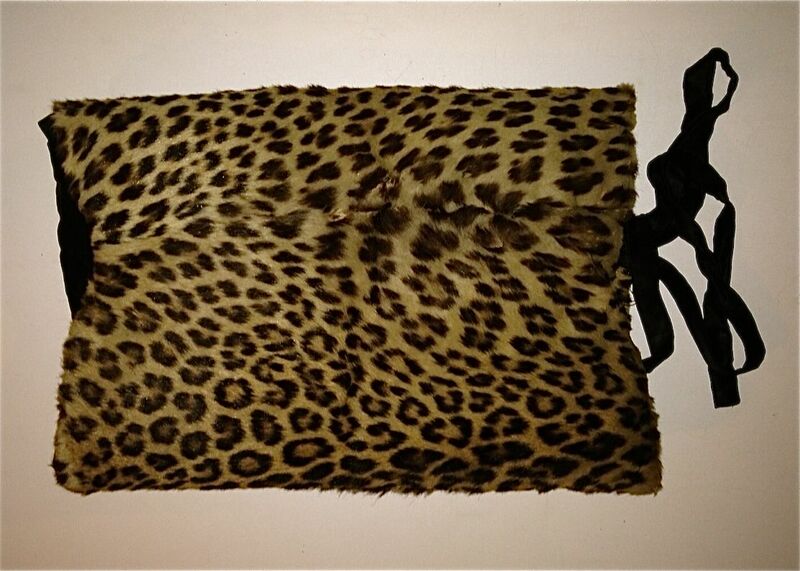 That goes for my wonderful 30s or 40s leopard fur muff (16.5 X13) lined in brown silk with a zipper pocket inside, alas. I am sure someone would wear it tomorrow (tears on the back barely show). I'm asking $245. 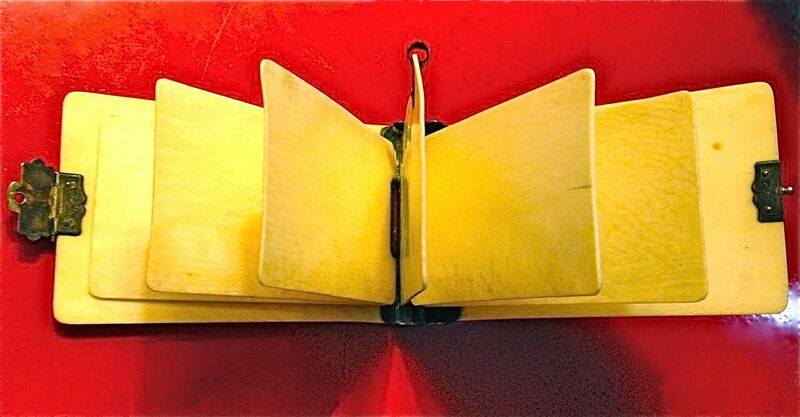 The silver and ivory notebook with its incised clasp and ivory pages is also verboten. 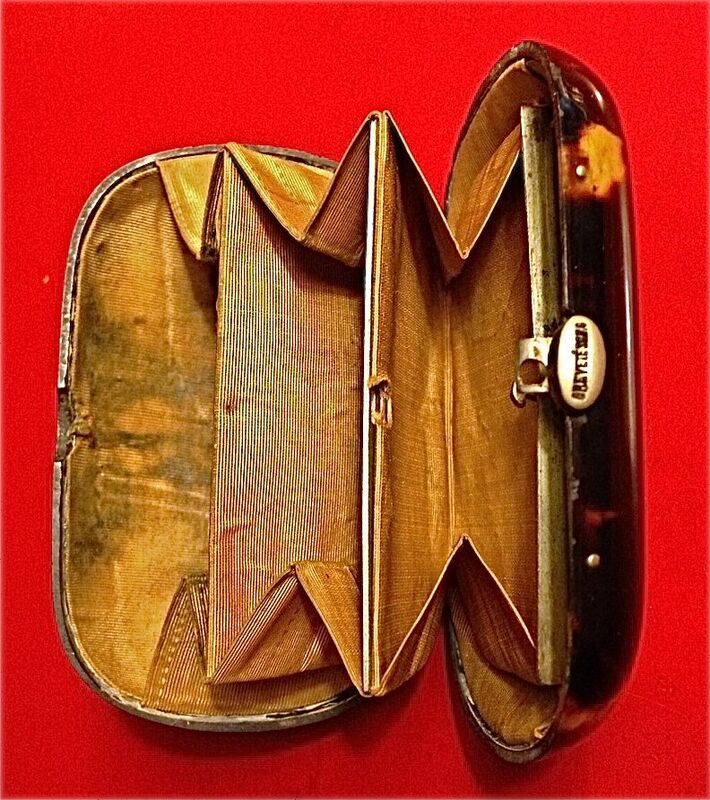 If you collect objects de virtu, you might want to drop by my office and see this exquisite 20s or 30s treasure close-up. Isit a dance card? I can't guess. But it's worthy of your fussiest friend. Or self. $275. 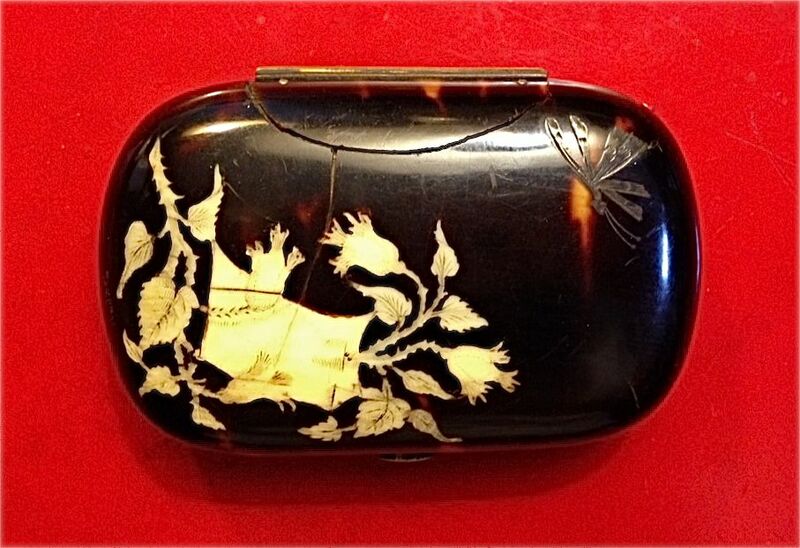 The rounded tortoise shell box hides a small fabric purse inside. It was on a desk in a lineup of tortoise shell bibelots my husband and friends collected for me among objects so exquisite I gifted myself. I didn't mind the cracks. 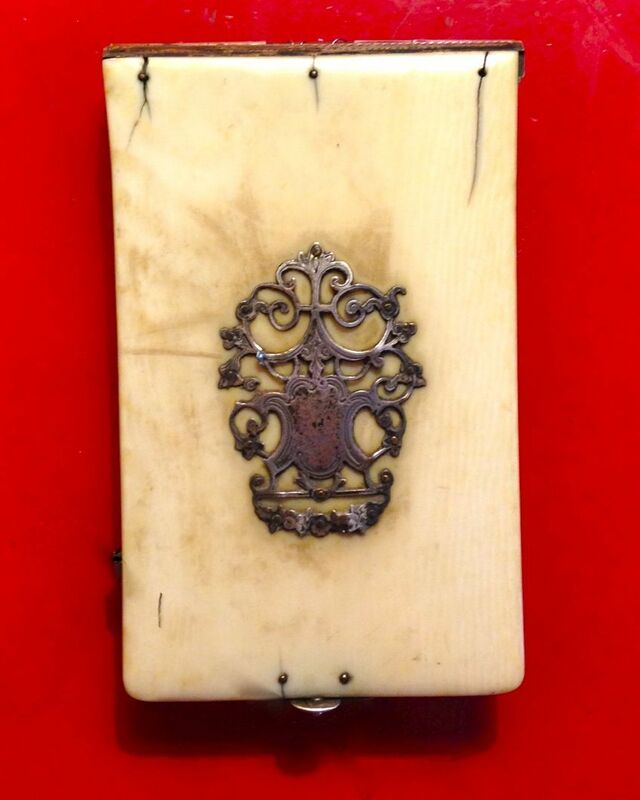 "Brevet�" is engraved on the tiny latch. It's $220. If you or your love appreciate one-of-a-kind treasures, come by my office and see for yourself. Save on shipping. Email me for an appointment, or make me an offer. It's dark and cloudy and for some reason today's colors appealed to me. I didn't hint at my disappointment after a first early dinner at Rotisserie Georgette. Not fair. Rus hing to judgment with the nightlife lemmings can be exciting, but once the glow of scoring the impossible table sputters, a seasoned first-nighter will give the house time. curated by one time Daniel sommelier Jean Luc-Le D�. Still, when I first heard Georgette Farkas was scouting for an Upper East Side stage to open a rotisserie, it took a while to digest this new turn in her career. What I didn't know was th at Georgette had first worked for Boulud as a pastry chef. What I had not realized was that from Harvard, she headed directly to the �cole H�teli�re de Lausanne. And then did stages at Roger Verge's Moulin de Mougins and Alain Ducasse's Louis XV. She had long ago abandoned chef whites for New York Woman in Black chic. Given the charismatic Boulud's dedication first as a supporter, then a board member and now co-president of Citymeals-on-Wheels, I had come to know the strength and savvy of Farkas as his liaison. 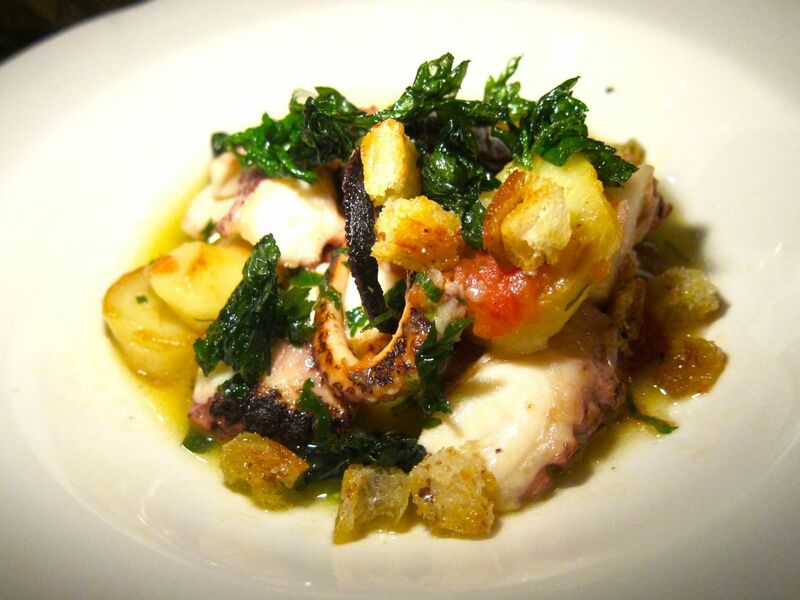 Following her boss's practice, she offered the first look at Rotisserie Georgette as a benefit for Citymeals. I met the carpenters from the Bronx who built the bar and the two-story armoire for coats. I heard the story of the palatial boudoir drapes and flea market tapestries. And I said hello to her mother who found the fabulous blue and white tile, bought in Portugal decades ago and forgotten in a warehouse. Now it framed the open kitchen when Malbequi and his team kept a battalion of servers armed with finger food that benefit evening. Crisp, fried artichokes were the best dish. Yet when the restaurant opened two weeks later, artichokes were not on the menu. Time, I thought, I'll give them time. Now, after not much patience at all, I'm back last week with fussy gourmand pals. By 9, tables and bar are packed -- waspish locals vying with clots of self-crowned inheritors of the universe for the host's favor. Running a dining room may be new but the 10021 zip code culture is kindergarten for Georgette. She knows her fief. That's why she never scouted real estate south of Bergdorf's. Not quite a month has sharpened the kitchen. 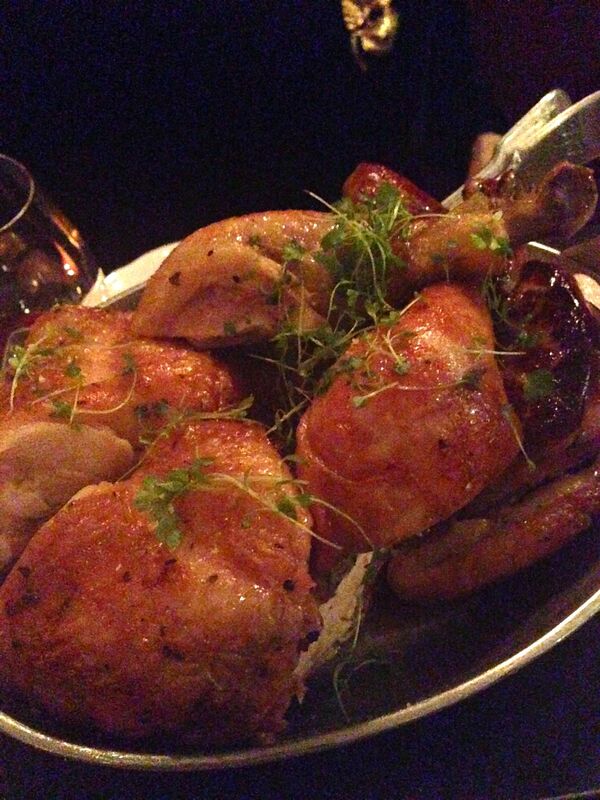 I've not yet tasted the $24 half chicken in a choice of three flavors: Proven�ale, diablo or grand-m�re. 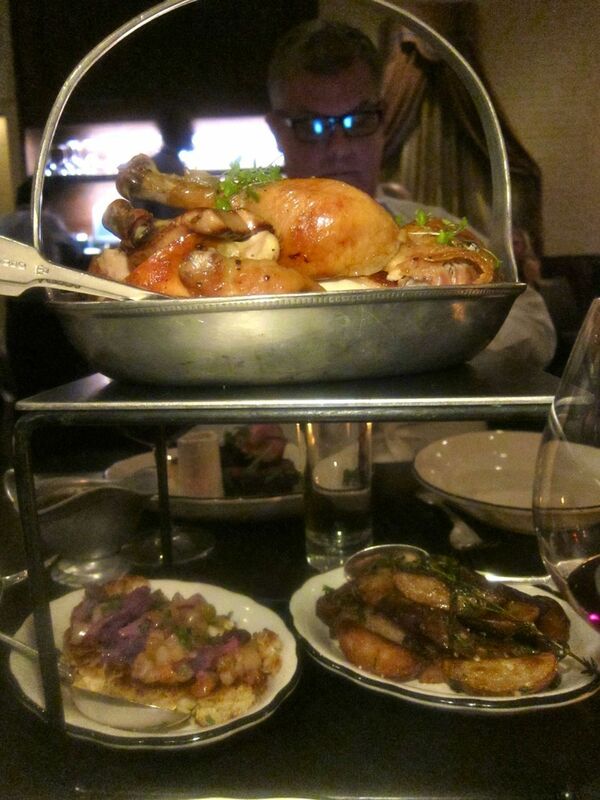 I'm focused on the star of the show - the $72 Poule de Luxe for two with seared foie gras cutlets. It's really juicy now, full of flavor, seasoning revved up, even the white meat is wonderfully moist. A French friend explains the joke: Poule de Luxe is French slang for a lady of the night, not quite a prostitute, she explains. "A tart." Georgette's po ules are raised organically and air-chilled at Ashley Farms in Piedmont, NC, and on a Mennonite farm in Ephrata, PA. With an introduction from Ariane Daguin at D'Artagnan, Georgette drove out to meet farmer Leon Zimmerman. "He has 13 children," she reports. Click here to read the rest of the reivew. 14 East 60th Street between Fifth and Madison Avenues. 212 390 8060. Lunch, Monday to Saturday noon to 3 pm. 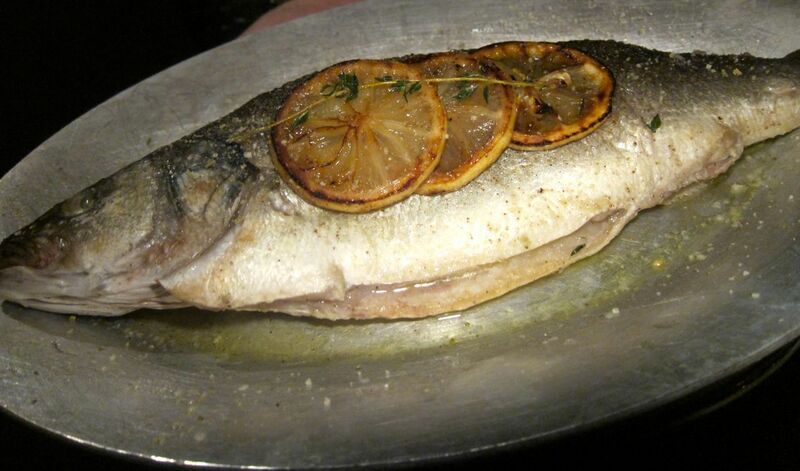 Dinner Sunday and Monday 5:45 to 10 p.m., Tuesday to Saturday 5:45 to 11. 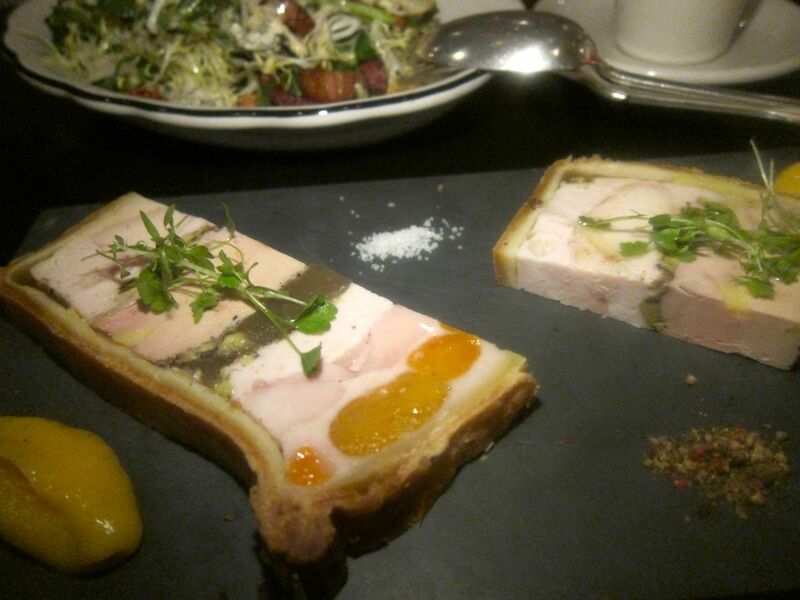 Photographs of Rotisserie Georgette's poule de luxe, octopus, chicken service, p�t� en cro�te, branzino, and tarte tatin may not be used without permission from Gael Greene. Copyright 2013. All rights reserved.